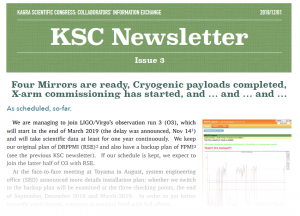 The fourth issue of KAGRA Scientific Congress Newsletter is now online. p.2 Directions: bKAGRA installation (almost) finished !! 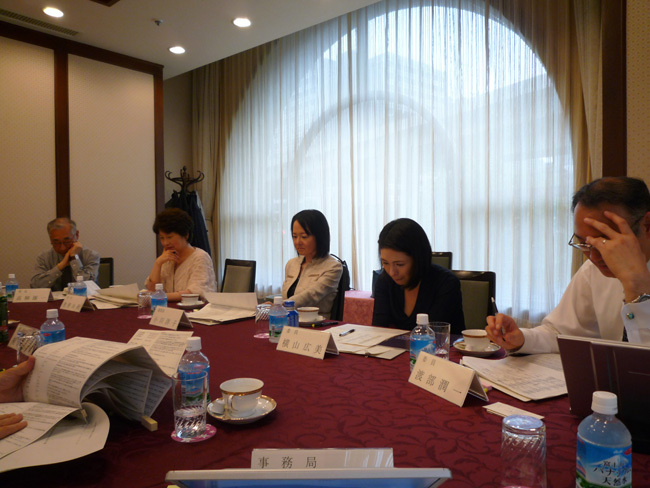 p.11 Newly Joined: Aoyama Gakuin Univ., KIAA Peking Univ. p.13 New collaborators, We hear that .. The 6th KAGRA International Workshop will be held in Wuhan, China on 21 – 23 June, 2019. 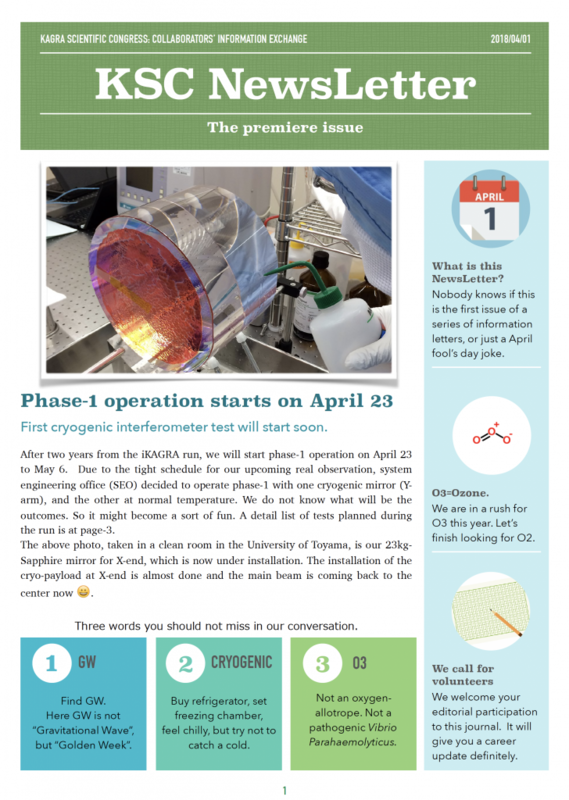 The third issue of the KAGRA Scientific Congress Newsletter is now available online. Professor Saito is a collaborator of KAGRA Gravitational Wave Telescope experiment. Congraturations! The award ceremony is held on December 5. The Nishina Memorial Prize 2018 is awarded to Professor Shibata and Professor Koichiro Tanaka of Kyoto University. Dr. Yuichiro Sekiguchi, KAGRA’s collaborator and Associate Professor at Toho University is awarded the 12th Yukawa-Kimura prize for his research on study of “Numerical-relativity simulation of binary neutron star mergers with realistic microphysics.” Congraturations! KAGRA Scientific Congress (KSC) is the decision making body of KAGRA collaborators. The aims of KSC are to discuss and to make decisions upon KAGRA science(Seeherefor the details). page-5 Recent meetings: F2F at Osaka City Univ. , KIW at Ewha Womans Univ. + KAGRA meeting schedule, We hear that …, etc. The 4th KAGRA International Workshop will be held in Ewha Woman’s University, located in Seoul, Korea in June 29-30, 2018. The main theme of the KAGRA International Workshop (KIW) centers on the KAGRA project, but also encompasses all related fields such as other gravitational wave experiments, gravitational wave sciences, and multi- messenger astronomy. Everybody interested in contributing to the KAGRA project and gravitational wave science in general is welcome to join the meeting. 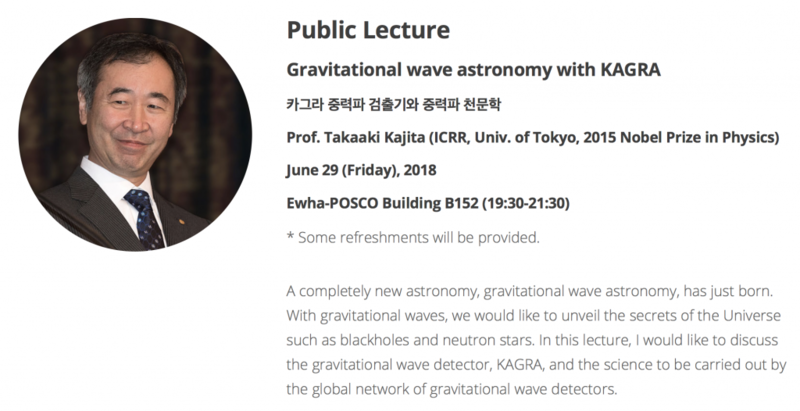 A public lecture by Prof. Takaaki Kajita, the PI of KAGRA Project on the topic of “Gravitational wave astronomy with KAGRA” is also held during the workshop. Visit workshop website http://yangjs.inje.ac.kr/Symposium/kiw for the details and registration (deadline: June 15) . 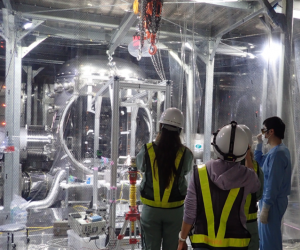 On March 30, Louisiana State University’s Professor Gabriela González, the former Spokesperson of LIGO Scientific Collaboration, visited the experimental site of KAGRA. Assistant Professor Keiko Kokeyama, who moved from LSU to ICRR in 2015, guided her in the KAGRA underground site. Prof. González enjoyed to see the status of preparation of the experiment. 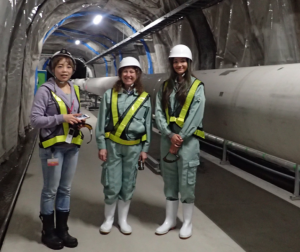 Professor Gabriela González(center) and Dr. Keiko Kokeyama(left) in the KAGRA arm tunnel. Visitors are carefully watching the installation work of sapphire mirror in the cryogenic vessel. KAGRA Scientific Congress (KSC) is the decision making body of KAGRA collaborators. 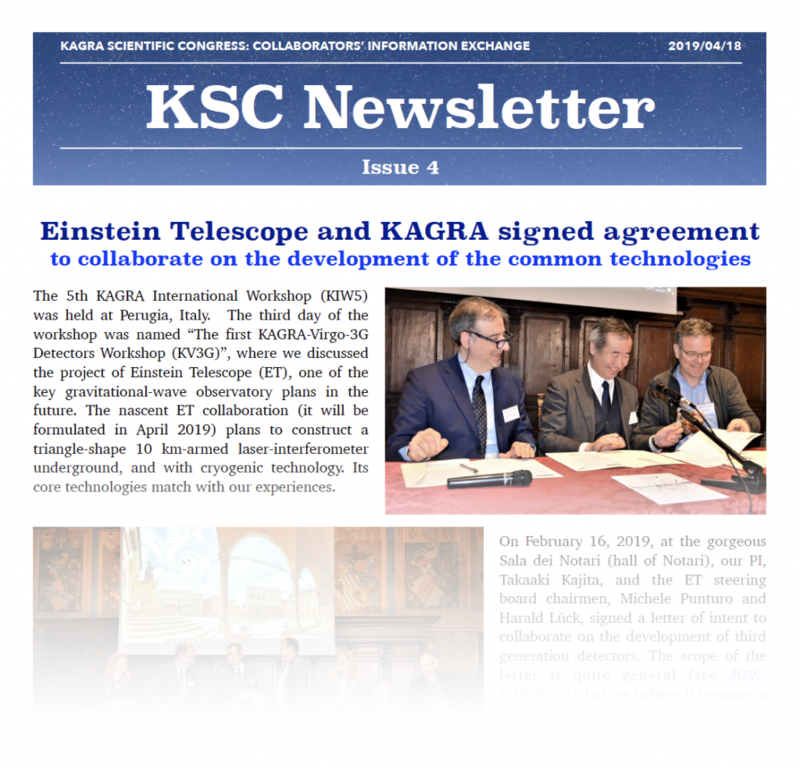 The aims of KSC are to discuss and to make decisions upon KAGRA science(See here for the details). 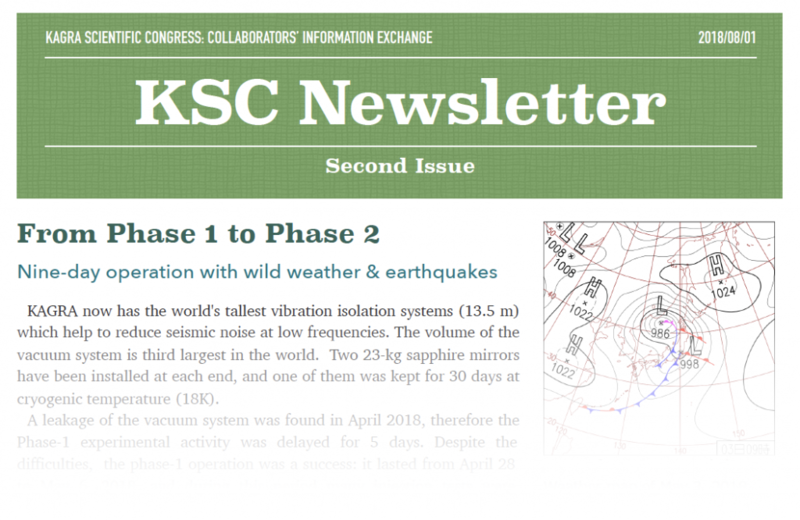 Today April 1st, some members of KSC released KSC NewsLetter in order to exchange and share KSC’s activities. It’s free and open to public. Please enjoy! page-3 Kamioka: New office is open! page-4 Upcoming meetings: KIW Ewha Womans Univ. page-4 Upcoming meetings: Face-2-Face at Osaka City Univ. page-6 Physics: What Stephen Hawking did in Relativity? Our research proposal entitled ” First detection of Gravitational Waves using Cryogenic Laser Interferometer” was selected as a Specially Promoted Research of JSPS in 24th April 2014. The leader of this research is T.Kajita who is also a PI of KAGRA project. 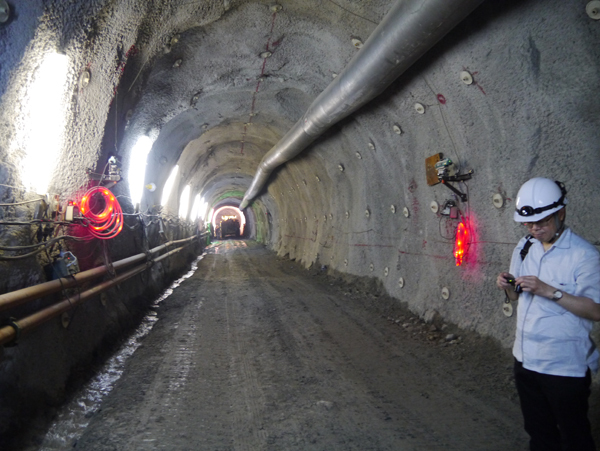 On March 31, 2014, the team of the Large-Scale Cryogenic Gravitational Wave Telescope (KAGRA) completed the excavation of its L-shaped tunnel with two 3 km arms. 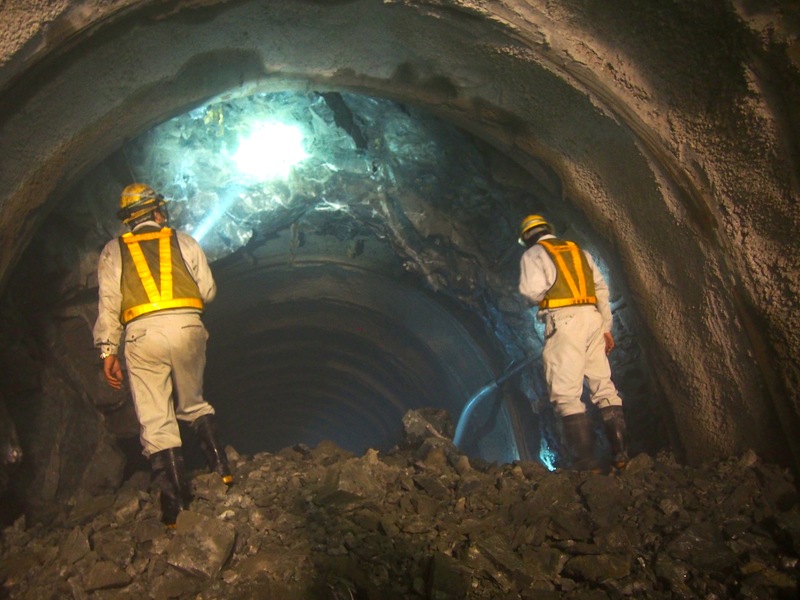 Including two access tunnels, a total length of 7,697 m has been hollowed out 200 m below the surface of Mt. Ikenoyama in Kamioka—beside the site of Super-Kamiokande—where the construction of a 3-km-scale cryogenic interferometer will soon begin. This interferometer has been designed to directly detect gravitational waves for the first time ever. 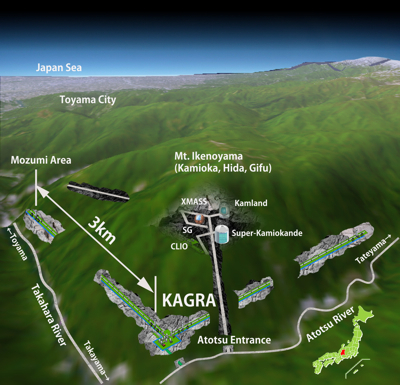 KAGRA is an international project involving 231 scientists from 31 institutions, principally operated by ICRR(Institute for Cosmic Ray Research) with two main joint-research institutions, KEK (High energy accelerator research organization) and NAOJ (National Astronomical Observatory). Its aim is to construct 3-km-scale Fabry-Perot Michelson Interferometer underground at Kamioka to detect gravitational waves. Gravitational waves, derived from Einstein’s general theory of relativity, are ripples in the curvature of spacetime that propagate at the speed of light. The first indirect proof of their existence was proposed by Dr. Hulse and Dr. Taylor in 1974 who found a binary system of neutron stars, whose decrease in orbital period was well described by the loss of energy through gravitational radiation. In addition, the astronomers of the BICEP2 experiment at the South Pole recently reported that they had found the signature of primordial gravitational waves imprinted in the B-mode polarization of the Cosmic Microwave Background—further evidence of gravitational waves if confirmed. However, gravitational waves have yet to be detected directly in a form in which their waveforms are evident. The direct detection of gravitational waves will not only validate our understanding of gravity and spacetime but also open up a whole new field of gravitational wave astronomy by enabling the physics of strong gravitational fields to be tested, and enabling direct observations of mysterious objects such as black holes, which are not possible through the observation of electromagnetic waves. Gravitational waves manifest themselves as extremely small changes in the distance between two points in spacetime. Direct gravitational wave detectors therefore detect a change in the metric. However, even the strongest gravitational waves produced during the merger of binary neutron stars and binary black holes typically cause a variation of length of the size of a hydrogen atom over the distance between the Earth and the Sun. Furthermore, such mergers occur once every 100,000 years in our Galaxy. KAGRA aims to increase the detection frequency to several times per year by employing an ultra high-sensitivity metric-variation detector (that can detect change of one part per trillion of trillion) to expand the observation range to include many galaxies. The key to a successful gravitational wave detector is to minimize background noises such as seismic noise and thermal noise to achieve extremely high sensitivity limited only by the quantum noise of the laser used in the interferometer. KAGRA will be constructed 200 m underground to reduce seismic noise to a hundredth of that at the ground surface, and its mirrors that reflect lasers back and forth will be cooled to temperature of 20 K to reduce thermal noise. KAGRA’s quiet underground environment under Mt. 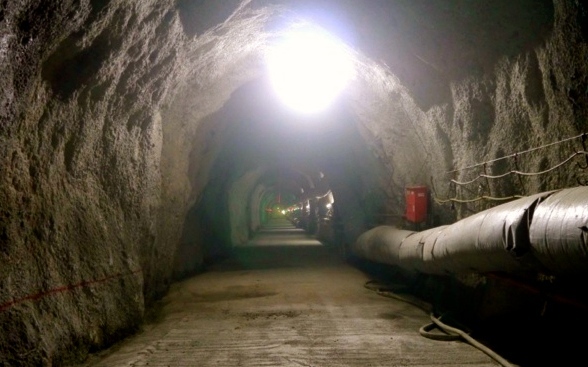 Ikenoyama—also known for its lithological characteristic of hard Hida gneiss rock—is now, after 20 months of excavation, ready to host the world’s most sensitive gravitational wave detector. KAGRA’s construction started in 2010. 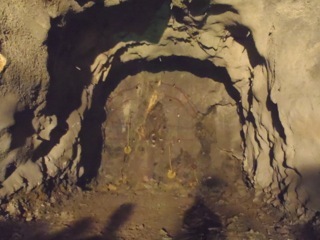 The L-shaped tunnel with two 3 km arms and two access tunnels is located 200 m under the surface of Mt. Ikenoyama and has a slope of 0.3% to drain spring water effectively. 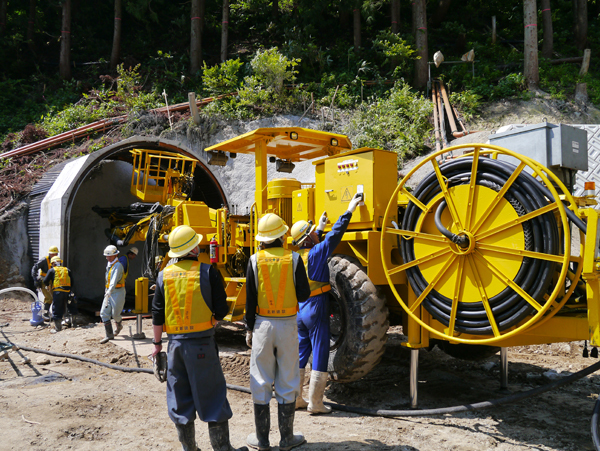 A construction company, Kashima, started to excavate the access tunnels from the Mozumi area in May 2012, and from the Atotsu area in June 2012. After the excavation of central laboratory area near the Atotsu entrance, the crew split into two groups; one working on the “X-arm”, which extends 3 km in the east-northeast direction, and the other working on the “Y-arm”, extending in the north-northwest direction. The Mozumi crew continued to excavate from the other end of the Y-arm up to a distance of 1,165 m, where they stopped to deal with a possible abnormal amount of spring water at the fault. 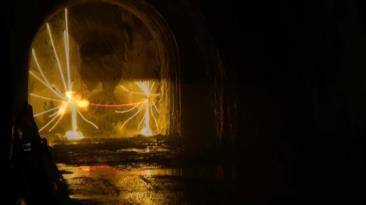 In December 2013, the Y-arm was finally blasted open from the Atotsu side. Following the completion of the Y-arm, the X-arm continued to be extended from one direction and was completed on March 31, 2014. The full excavation length is 7,697 m. During the construction, no serious lithological issues arose; however, on several occasions an unexpectedly large quantity of spring water hampered smooth operations during the excavation period. Kashima coped with such problems efficiently and professionally, even breaking the national record for the excavation speed by the NATM method, achieving a rate of 359 m per month. The collaboration plans to install laboratory facilities and the detector components in the coming fiscal year, in preparation for the initial operation at the end of 2015. The full-scale operation is planned to start in JFY2017. This announcement are reported in home pages in The University of Tokyo (UT), High energy accelerator research organization (KEK), and National Astronomical Observatory Japan (NAOJ). Fig1. The red line shows the seismic vibration level at the ground (Kashiwa Campus) and the green line shows that of 1,000 m underground at Kamioka (CLIO). It has been shown that the seismic vibration level at 200 m below the mountain surface is nearly the level shown in green. Fig 2. A bird’s eye view of the Large-Scale Cryogenic Gravitational Wave Telescope (KAGRA), an L-shaped laser interferometer with two 3 km arms. Fig 3. A panorama photo taken in December 2012 at the central branching point near the Atotsu entrance. Fig 4. KAGRA’s Y-arm that extends from the Atotsu side to the Mozumi side was blasted open in December 2013. Fig 5. A view of KAGRA’s Y-arm. GWADW2014 will be held in Takayama-city, Gifu-prefecture, Japan. GWADW2014 in which we discuss about the future technique for GW detection will be held in Takayama-city, Gifu-prefecture, Japan from 25th May to 31st May. The web page is here. The KAGRA Y arm tunnel has been opened ! 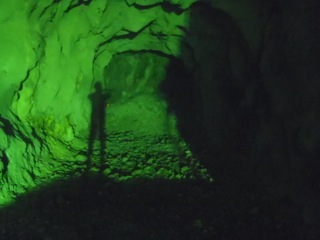 Since 2012 May, the Y arm tunnel of KAGRA was excavated from Mozumi area and Atotsu area. In Dec/5/2013, this Y arm tunnel finally became one tunnel. Prof. Somiya’s article was selected as one of hilights of CQG. Prof. Somiya’s article has been selected by the Editorial Board of Classical and Quantum Gravity (CQG) to be one of the journal’s Highlights of 2012-2013. MOU between KAGRA and Dept. of Phys. HNUE was signed. People from Dept. of Phys. Hanoi Nat. Univ. of Education would join KAGRA in the near future. The KAGRA talk event is being held in Inotani-sekisho museum in front of the JR inotani station. The lecturer are S.Miyoki, T.Uchiyama, M.Ohashi, S.Kawamura and O.Miyakawa. Especially, in September 8th, two talks about KAGRA will be presented in a festival “Inotani-sekisyo friendly festival “. 4th Korea-Japan Workshop was held in Osaka Univ. The doctor thesis of Dr.Izumi got Braccini Prize 2012. The doctor thesis of Dr.Izumi who use to be a doctorial student of NAOJ got Braccini Prize 2012 (https://wwwcascina.virgo.infn.it/StefanoBPrize2012.html ). An Italy-Japan Workshop has been held in the Embassy of Italy. 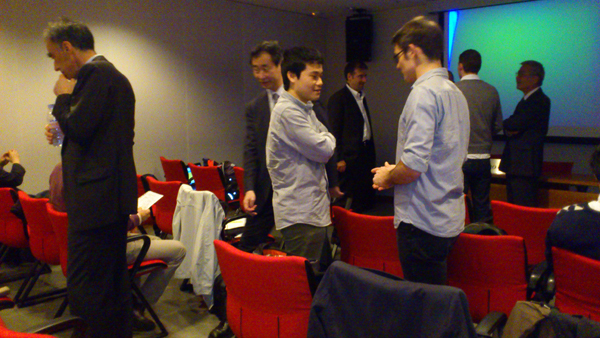 April 19th 2013, an Italy-Japan Workshop about gravitational wave physics has been held in the Embassy of Italy. This is one of events related with Italy year 2013 in Japan for their cultural communication. Pro. Takahashi was awarded a science prize for encouragement of Yamanashi Academy. Pro. Takahashi was awarded a prize for encouragement of Yamanashi Academy as a promising young researcher in the field of research, education and technology in Yamanashi prefecture. Core to Core program about GW project was selected. In Jan/30/2013, the project titled “The construction of Gravitational Wave Astronomy” was selected as one of Core to Core program of JSPS. The leader is Pro.Kawamura. KAGRA Data analysis school wiil be held in NAOJ. KAGRA Data analysis school wiil be held in NAOJ during Fev 20th ~ 22th. You can find application form and information in this page. 3rd Korea-Japan Workshop was held in Dec 21~22 2012. 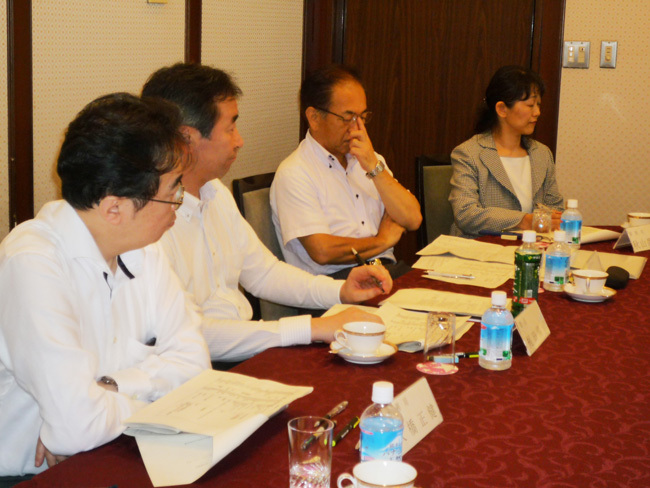 The President of Toyama University visited CLIO. Pro. Endo, the president of Toyama University visited CLIO. After that young scientists in GW group had a meeting with Pro. Endo, Pro.Moriwaki, Pro.Hirobayashi and Pro.Matsushima who are members of Toyama University at GWPO Kamioka branch building. ET-KAGRA thermal noise workshop was held in Jena University, Germany. KAGRA Advisory Board was held in ICRR Kashiwa Campus. KAGRA Advisory Board Meeting was held in ICRR Kashiwa Campus. KAGRA EO members were evaluated about the progress of KAGRA, management, and got many suggestions from the Advisory Board members. Workshop with Toyama-University was held. In 8th July, a workshop about KAGRA with the department of physics and engineer of Toyama University was held in the Toyama University. In June 17th, Uchiyama-kun who is ICRR member gave a lecture on KAGRA in the GSA seminar promoted by Hida academy. Excavation of New Atotsu Tunnel has started. New Atotsu tunnel excavation has started. The excavation of Mozumi is also all right. The blasting at the Mozumi entrance has started. The External Review was Held in ICRR UT. An External Review for KAGRA project was held in ICRR from 17th April to 20th. The committee chaired by Dr. Michael E. Zucker evaluated the KAGRA designs, progress, and risks of each subgroup and made some advices. We would like to make assure the success of KAGRA project with these External Review’s reports. The KAGRA loga was selected. The KAGRA logo was selected. The director of ICRR, Pro.Kajita(KAGRA project PI) was awarded a prize of the Japan Academy of 2012. 2012 for “the discovery of atmospheric neutrino oscillation”. A Master thesis of T.Sekiguchi who is a member of GW group got an ICRR Director Award in the ICRR Master and Doctor Thesis Workshop. In 28th February, A Master thesis of T.Sekiguchi got an ICRR Director Award in the ICRR Master and Doctor Thesis Workshop. His master thesis title is “Modeling and Simulation of Vibration Isolation System”. Members of the House of Councilors, who belong to committee on education, visited in Kamioka Observatory, Super Kamiokande, XMASS and CLIO. 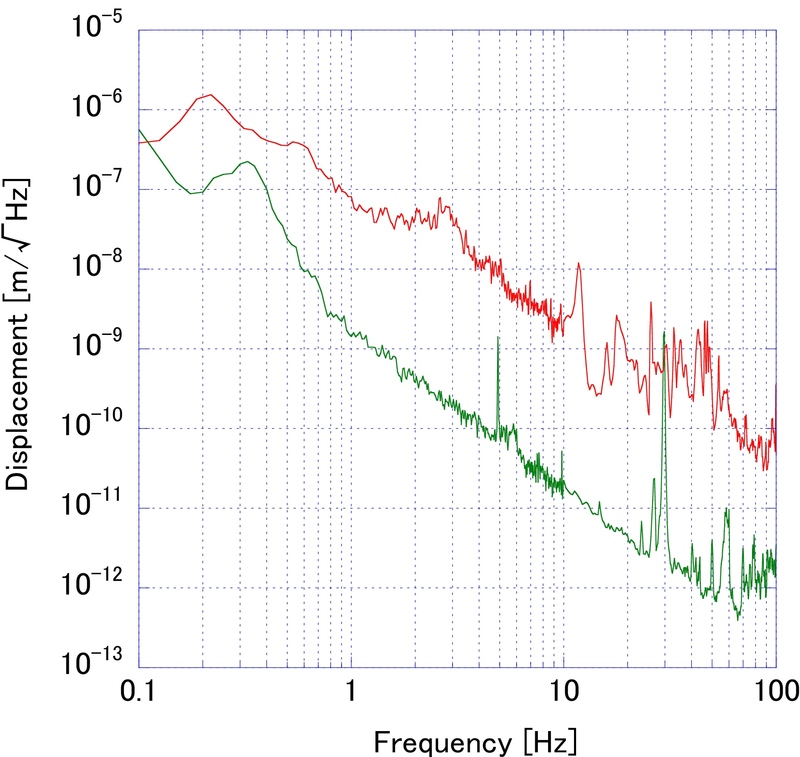 Thermal noise reduction in CLIO was published in Physical Review Letters. LCGT got new nickname “KAGRA” ! LCGT finally got new nickname “KAGRA”. KA means “Kamioka”, and GRA means Gravity and Gravitational wave. A detail report is shown in this page. 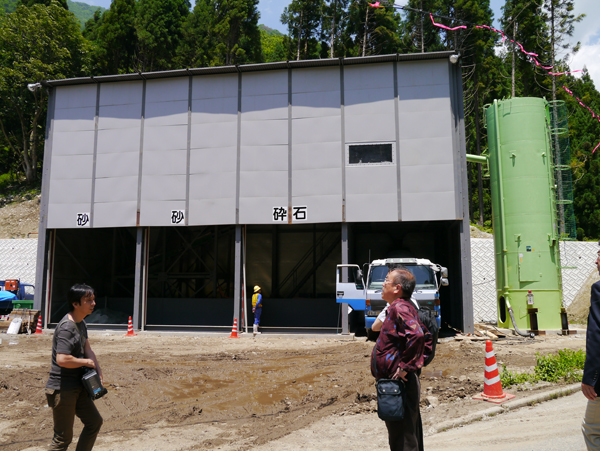 LCGT ground breaking ceremony was held in Mozumi, Kamioka-cho, Hida-city, Gifu prefecture. Some photos about ceremony are shown in this page. LCGT ground breaking ceremony was written up in several newspaper. (web page on Gifu newspaper). Korea-Japan Workshop was held in Korea University to promote LCGT project. Collaborations in laser development, vibration isolation, quantum measurement and so on were discussed. 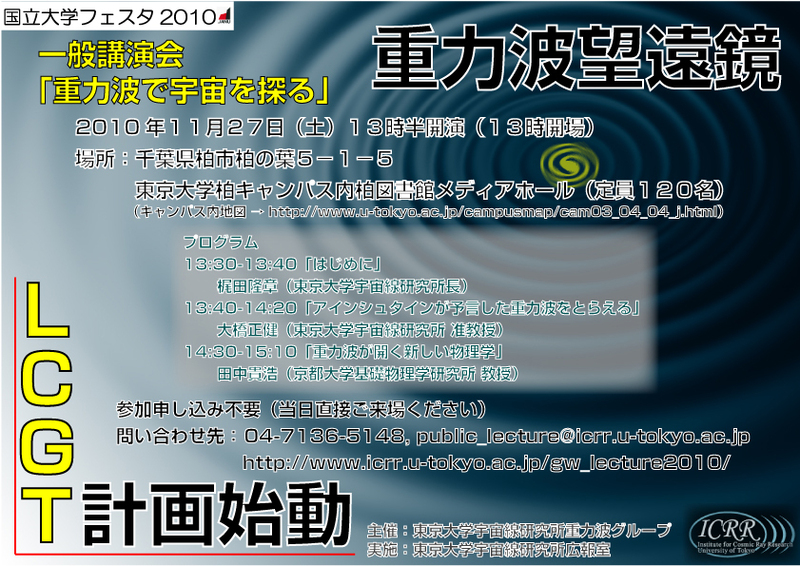 In November 5th, a lecture about gravitational wave will be presented in Yamanashi-Eiwa Univ. In 2011 November 5th, a lecture entitled ” Challenge to the Mystery of the Universe from Yamanashi !” will be presented by Dr. H. Takahashi and Mr. Tsugane in the Yamanashi-Eiwa school festival. EGO-ICRR Meeting will be held in October 4th ~ 5th. The European Gravitational Observatory (EGO) and the Institute for Cosmic Ray Research (ICRR) organize a meeting, under the patronage of the Italian Embassy in Tokyo, with the aim to explore the collaboration between Italy and Japan on the Gravitational Wave research with the future interferometric detectors in Italy (advanced Virgo) and Japan(LCGT). The 3rd generation perspectives, thanks to the Einstein Telescope (ET) project will be investigated too and the ELiTES Japanese-European collaborative FP7 project, between ET and LCGT, will be prepared. University of Tokyo, Kashiwa-campus, Frontier Sciences, Environmental Studies Building, 1st Floor, SF Hall. Dr.Miyakawa will give a lecture in Nagoya University GCOE seminar in Sept 27th. Dr.Miyakawa (ICRR.UT staff) will give a lecture in Nagoya University GCOE program named as “Quest for fundamental principles in the universe”. The title is “Detection of gravitational waves from underground in Kamioka-mine”. Please see this page in detail. A live science cafe about LCGT will be broadcasted in Niconico-douga HP. organized in cooperation with Asahi newspaper and ICRR UT. New hypocrism for LCGT project was selected in LCGT naming committee. Yoko Ogawa-san who is a japanese famous novelist kindly accepted to be a chairman of a LCGT naming committee, and selected a new hypocrism for LCGT project from about 630 applications. We are very sorry, but please wait until around August~September 2011 for public announcement about this new hypocrism. 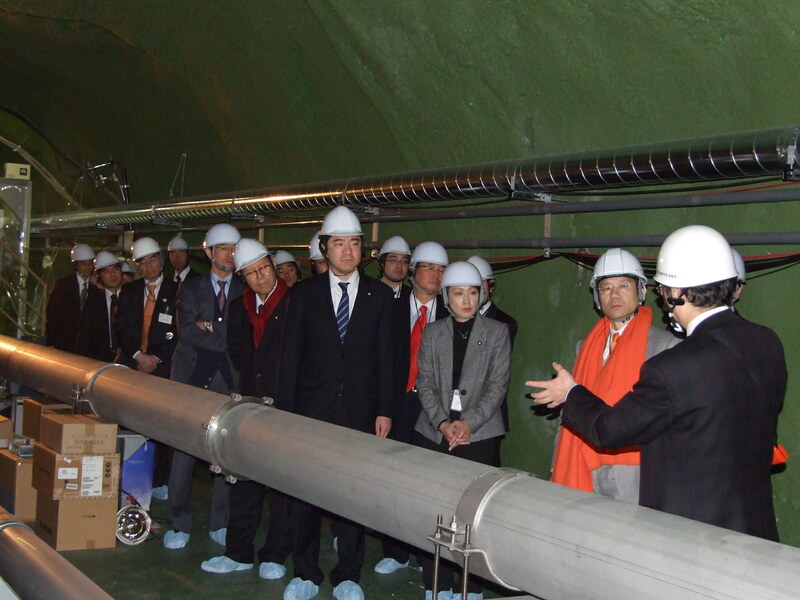 An explanatory meeting about LCGT vacuum ducts temporary stock in the Kamioka-railway tunnels will be held in Higashimozumi, Kamioka-cho, Hida-city in 18th May. LCGT new name will be selected in 16th June. A meeting for LCGT new name selection was put off due to 3.11 earthquake will be held in 16th June 2011. Students and teachers of Sizhuoka-Kita high school visited CLIO. Students and their teachers of Sizhuoka-Kita high school visited Super-Kamiokand, XMASS and CLIO as an event of Super Science High school (SSH). In the morning, they received lectures about SK, XMASS, CLIO and their related physics of neutrino, dark matter, gravitational waves. 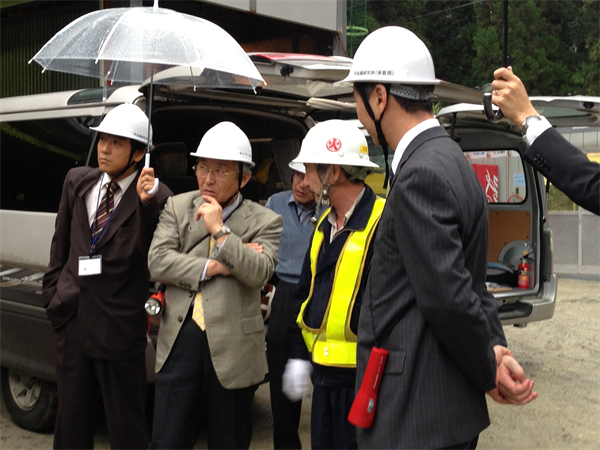 In the afternoon, they entered the Kamioka mine and visited each facilities. 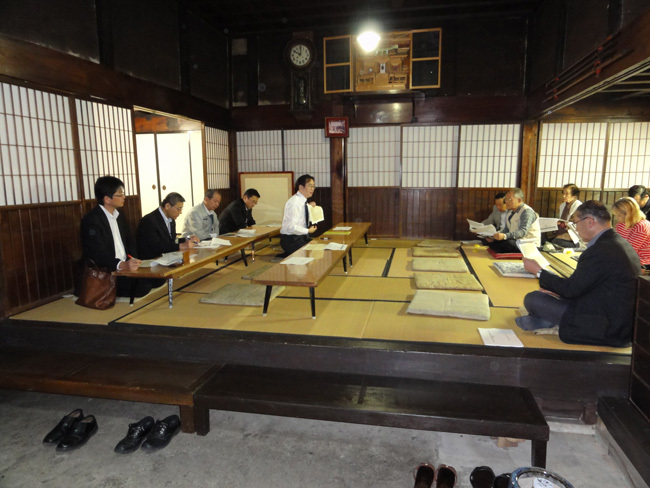 An explanatory meeting about LCGT will be held in Urushiyama, Kamioka-cho. An explanatory meeting about LCGT vacuum ducts temporary stock in the Kamioka-railway tunnels will be held in Urushiyama, Kamioka-cho, Hida-city in 22nd April. Yamanashi nichi-nichi newspaper wrote up LCGT. 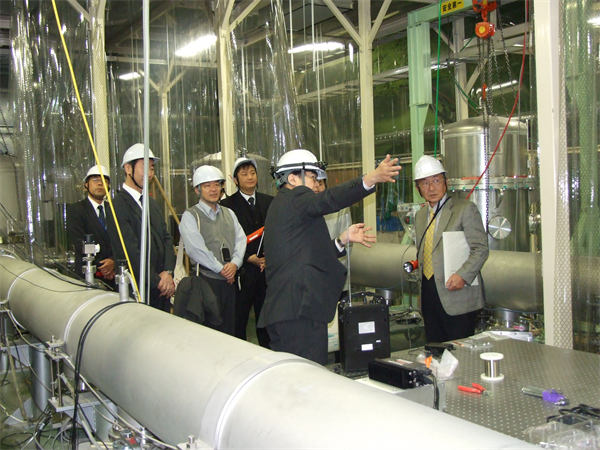 Yamanashi nichi-nichi newspaper wrote up a company in this region accepted an order for LCGT vacuum system in April 8th. Gravitational Wave Project Office was established in April 1st 2011. Gravitational Wave Project Office will be established in April 1st 2011. Members of the Academy of Basical Chemistry Education of Japan visited CLIO. 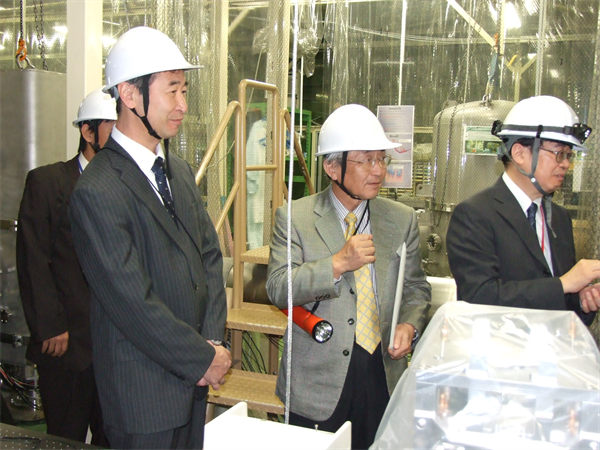 An Emeritus professor of Tokyo-toritsu University Ikemoto and members of ABCEJ visited Super-Kamiokande, XMASS and CLIO. The members of ABCEJ are mainly private middle school and high school chemistry teachers around Tokyo. LCGT MOUs between LIGO and VIRGO were formally concluded. Mainichi newspaper wrote up the new name application for LCGT. Physics today Journal wrote up LCGT on the 35th page in December issue. Staff of Italy embassy visited CLIO with Desalva-sensei. “Thermal-noise-limited underground interferometer CLIO” was selected as an oustanding article in the Classical and Quantum Gravity hilight of 2009-2010. The film about the construction of LCGT has started. The department chief of the academic organization section of the Ministry of Education, Culture, Sports, Science and Technology of Japan visited CLIO. Professor Jim Hough who is one of leader of GEO600 also visited CLIO. Technical staff and postdoctoral researche recuruiting has started. Yoko Ogawa-sensei who is a famous award-winning novelist agreed to be a chairman to decide the new LCGT name. Yoko Ogawa-sensei　who is a famous award-winning novelist agreed to be a chairman to decide the new LCGT name. An assistant researcher recruiting has started. LCGT call for a new charming name! A public lecture about LCGT will be held in November 27th. A public lecture about LCGT will be held in November 27th. This lecture is one of the National University Festa. University of Tokyo, Executive Management Program students (20) visited CLIO. The President of the University of Tokyo, Professor Hamada and the regent of the University of tokyo, Professor Kozima visited CLIO. Professor Takeda and Assistant Professor Miyamaru and their students (Shinshu University, Department of Science, Physics division, Solid state physics division) visited CLIO.